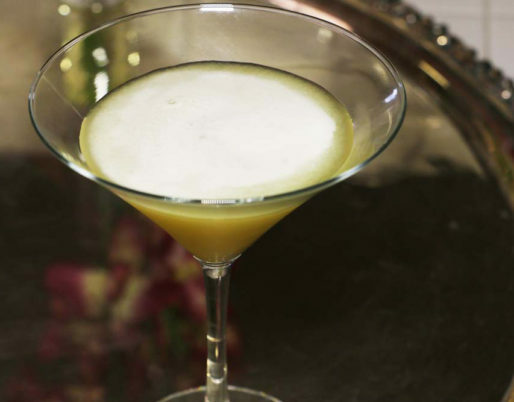 Today’s Mr. Boston’s recipe brought up one important question… what the heck is a cordial? When one ventures down the cordial aisle at Total Wine you are likely to find all that is sweet in the liquor world. 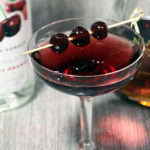 Most of the offerings are fruit based but this special section also includes various chocolate liqueurs, Curacao and several different flavored brandy options. All this begs the question, what is the difference between a liqueur and a cordial is. I did a little digging and the answer appears to be rather complex. 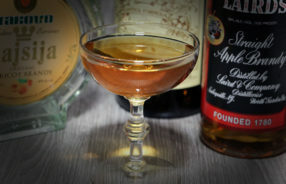 Some purport that liqueur and cordial are one in the same. Both are generally a lower proof (40% and below) with a high sugar content. Cordials can also contain no sugar at all as was the case of Rose’s Lime Cordial circa 1893. With a vague description to guide me, trying to decide on which cordial to use in the Cordial Highball recipe from 1935 was tricky. Google popped up a handy graph that shows the popularity of the term “Cordial” since the 1800’s. While commonly used before the 20th century, the word cordial seems to have lost favor around 1860 and was only reborn around 2008. It hasn’t quite regained its popularity though. This could explain why it is so confusing today. 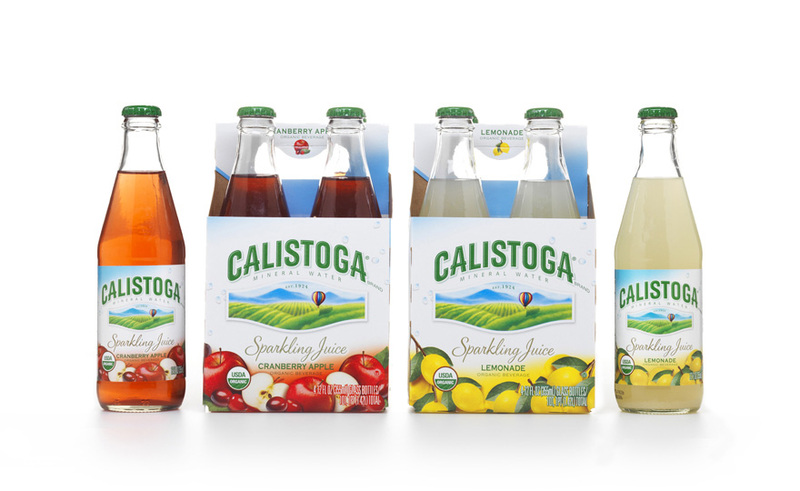 As a kid one of my favorite treats was Calistoga sparkling juice. 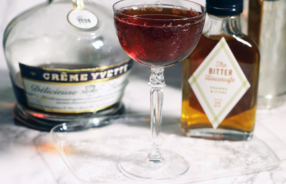 I haven’t been able to find my beloved refreshment for years but it inspired me to use Creme Yvette in tonight’s Cordial Cocktail. 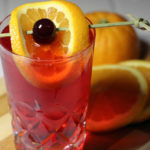 The Black Current was my absolute favorite – man I hope it makes a come back! 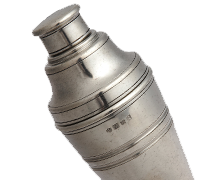 The recipe Leo Cotton published for the Cordial Highball is in line with all of the other highball recipes in the book thus far. 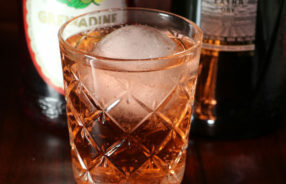 Calling for a drink of the “desired” cordial over ice to be paired with carbonated water or ginger ale and a lemon peel garnish. Something about Raspberry liqueur and Ginger Ale sounded perfect on this lazy Saturday afternoon. As I started to mix up the drink, Ryan reminded me that a single can of Canada Dry is enough to make 3 different cocktails with. In addition to the Creme Yvette, we settled on trying Montenegro Amaro and Creme de Mure (Blackberry Liqueur). 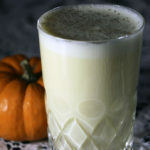 Each highball glass was given 1-1/2 ounces of liqueur and 4 ounces of Ginger Ale. The winning combination for me was the Montenegro. in "Bathtub Gin, bathtub gin no.6, cinderella cocktail, Compound Gin, creme yvette, crystal slipper, gin cocktail, Homemade Gin, Orange Bitters, vintage cocktail, Vintage Cocktail Recipe"
in "country club cocktail, country club cooler, french vermouth, grenadine, noilly prat, sparkling water, vintage cocktail"
in "apple brandy, Apricot Brandy, bitters, Brandy, cointreau, Corpse Revival, Corpse Revival Cocktail, Gin, italian vermouth, lemon juice, Maraschino Liqueur, Mr. Boston's, savoy cocktail book, vintage cocktail"
Small business owner, cocktail enthusiast, and history nerd, Melanie wears many hats. As the co-founder of Bootleg Botanicals, flavor and booze have become a passion for this professional graphic designer. Along side her husband of 16 years, Melanie spends her waking hours learning all she can about alcohol and mixology. Since 2014, her hobby has evolved into a career. When not browsing the local liquor store or working her way through Mr. Boston's original recipe book, Melanie enjoys taking spontaneous long road trips and relaxing at home with husband Ryan and their cat Sambuca. 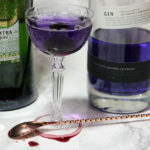 Alcohol Infusions is about connecting boozethusiast through a shared passion for all things alcoholic. 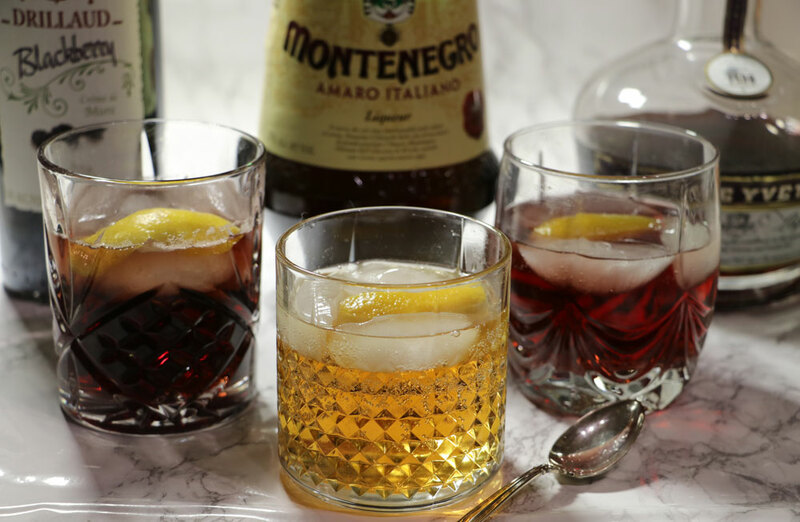 Helping drinkers around the world discover new recipes, products, and share their spirited creations! © Copyright 2016 All rights reserved by Alcohol Infusions & Bootleg Botanicals, LLC. Please drink responsibly.